Federal Reserve vice chairman Stanley Fischer said low U.S. inflation, while probably restrained by temporary factors, remains a concern as the labor market nears a sweet spot. 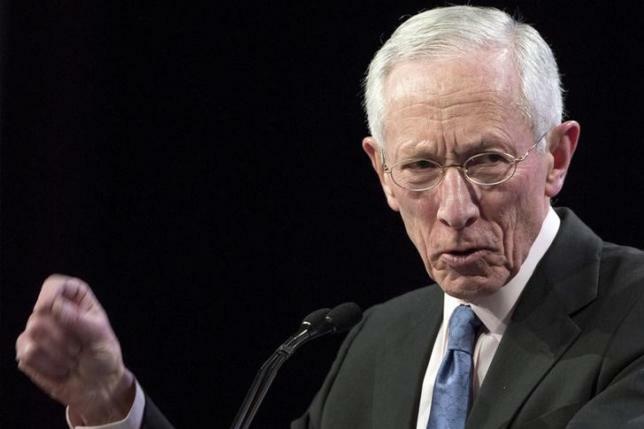 (Bloomberg) — Federal Reserve Vice Chairman Stanley Fischer said low U.S. inflation, while probably restrained by temporary factors, remains a concern as the labor market nears a sweet spot. Fischer’s remarks indicate that while he’s pleased with progress on employment, he may be waiting for signs inflation will start moving up toward the central bank’s target. The Federal Open Market Committee meets Sept. 16-17 for a gathering at which many investors and economists expect it will raise interest rates for the first time in almost 10 years. Traders were pricing in a 52 percent probability that the Fed raises rates at the September meeting as of 3:54 p.m. New York time, based on the assumption that the effective federal funds rate will average 0.375 percent after liftoff. The odds were 54 percent late Friday. In their statement after their July meeting, Fed officials said they believe an increase will be warranted once there has been “some further improvement in the labor market.” A Labor Department report Aug. 7 showed employers added 215,000 jobs last month, in line with the 211,000 average monthly gain so far this year. The jobless rate held at 5.3 percent, average weekly hours inched up and the underemployment rate edged down. The August jobs report is scheduled to be released Sept. 4. Fischer, a former head of the Bank of Israel, acknowledged that inflation had become the greater concern for policy makers. The Fed is looking for signs that inflation will strengthen toward its 2 percent goal before it starts to increase rates. Policy makers’ preferred gauge of prices has been below target for more than three years, climbing by 0.3 percent in the year through June. Guha said it was notable that Fischer suggested the Fed might engage in more monetary policy easing if inflation were its only mandate. “It would be odd in that context to say, ‘I think we should hike in a few weeks time,’” Guha said. Fischer also said the Fed’s “ultra-accommodative” policy over the past several years had worked. Fischer said the Fed takes international economic developments into account, but its first responsibility is to tend to the U.S. The European Central Bank is engaged in bond purchases designed to boost euro-area economies, and the Bank of Japan continued with unprecedented monetary stimulus earlier this month. China’s economy has slowed to its lowest level of growth since 2009. Yellen has said an increase will probably be appropriate this year if the data evolve as expected. While the October FOMC meeting isn’t followed by a Yellen press conference, she has said a policy move is possible at any of the committee’s meetings. St. Louis Fed President James Bullard told the Wall Street Journal in late July that “we are in good shape” for a rate increase in September. Bullard votes on policy in 2016.